Caitlin chats with Bicycle Magazine on the importance of posture and how to combat muscular imbalances. Cait and Drew interview Joel Younkins of JYT. Cait and Drew sit down with Matt Campbell, the owner of Branch Street Coffee Roasters, drink coffee and chat about coffee and community. In this week's episode Cait and Drew interview Dr. Nick Sanders. Nick is a physical therapist and owner of Phyt for Function, a cash based physical therapy clinic located in Hudson, Ohio. Cait and Drew discuss swim training training for triathlon. Caitlin and Drew interview Gentry Stein, the 2014 World Yoyo Champion. They discuss the ins and outs of yoyoing, performing under pressure and overcoming failures. Drew interviews Caitlin on all things strength training for triathlon. This is part 2 of our interview with bike fitter Matt Tinkey. Today’s guest is Matt Tinkey who is a bike fitter at the UPMC Lemieux Complex. 6- Who is Matt McWilliams? Cait and Drew interview Matt McWilliams, a 2 time Ironman 70.3 overall champion. In this episode, Cait and Drew interview Desirée Terella. Dez is a successful triathlete, having won her age group at USAT Nationals twice. More impressively though, she just returned to sport after having her first daughter, Peyton. They discuss Dez's journey through triathlon, coming back to racing after having Peyton and how triathlon is different now as a mother. 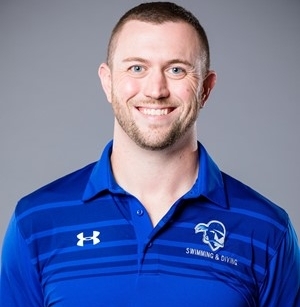 This week, Cait and Drew interview Derek Sapp, the head coach of Seton Hall Swimming and Diving. They discuss how Derek got involved with swimming, his swimming career and how he eventually became the head coach of Seton Hall. At Seton Hall, Derek has helped to contribute to two back to back Men's Big East Conference Championships in 2017 and 2018. Finally, they discuss how triathletes can become better swimmers. Cait and Drew do a recap of Cait’s race and build for Ironman Louisville 2018. Cait and Drew interview Lisa Roberts, the 2017 Ironman Louisville champion, and answer listener questions. Caitlin and Drew do a race recap of Ironman 70.3 Atlantic City. A look inside Ironman Chattanooga 2017 from 1st place overall amatuer finisher Marni Sumbal. A look inside Ironman Wisconsin 2016 from 3rd place professional finisher, Katie Thomas Morales. Some keys for success on your final build into an Ironman.